From the Peterborough Christadelphians website: Click here for source. 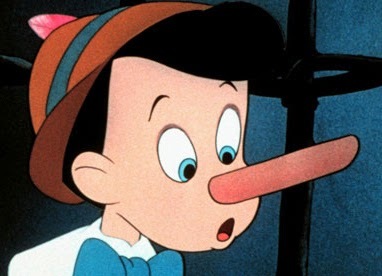 Click "More" to discover why Pinocchio is lying. An overwhelming majority of the scientific community accepts evolution as the dominant scientific theory of biological diversity. Nearly every scientific society, representing hundreds of thousands of scientists, have issued statements rejecting intelligent design and a petition supporting the teaching of evolutionary biology was endorsed by 72 US Nobel Prize winners. Additionally, US courts have ruled in favor of teaching evolution in science classrooms, and against teaching creationism, in numerous cases such as Edwards v. Aguillard, Hendren v. Campbell, McLean v. Arkansas and Kitzmiller v. Dover Area School District. The vast majority of the scientific community and academia supports evolutionary theory as the only explanation that can fully account for observations in the fields of biology, paleontology, molecular biology, genetics, anthropology, and others. 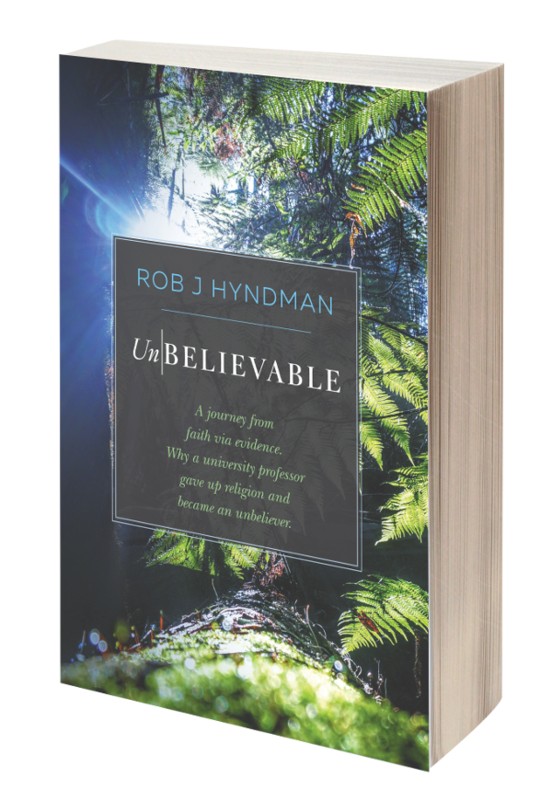 One 1987 estimate found that "700 scientists ... (out of a total of 480,000 U.S. earth and life scientists) ... give credence to creation-science". An expert in the evolution-creationism controversy, professor and author Brian Alters, states that "99.9% of scientists accept evolution". A 1991 Gallup poll found that about 5% of American scientists (including those with training outside biology) identified themselves as creationists. Additionally, the scientific community considers intelligent design, a neo-creationist offshoot, to be unscientific, pseudoscience, or junk science. The U.S. National Academy of Sciences has stated that intelligent design "and other claims of supernatural intervention in the origin of life" are not science because they cannot be tested by experiment, do not generate any predictions, and propose no new hypotheses of their own. In September 2005, 38 Nobel laureates issued a statement saying "Intelligent design is fundamentally unscientific; it cannot be tested as scientific theory because its central conclusion is based on belief in the intervention of a supernatural agent." In October 2005, a coalition representing more than 70,000 Australian scientists and science teachers issued a statement saying "intelligent design is not science" and calling on "all schools not to teach Intelligent Design (ID) as science, because it fails to qualify on every count as a scientific theory". In 1986, an amicus curiae brief, signed by 72 US Nobel Prize winners, 17 state academies of science and 7 other scientific societies, asked the US Supreme Court in Edwards v. Aguillard, to reject a Louisiana state law requiring the teaching of creationism (which the brief described as embodying religious dogma). This was the largest collection of Nobel Prize winners to sign anything up to that point, providing the "clearest statement by scientists in support of evolution yet produced." There are many scientific and scholarly organizations from around the world that have issued statements in support of the theory of evolution. The American Association for the Advancement of Science, the world's largest general scientific society with more than 130,000 members and over 262 affiliated societies and academies of science including over 10 million individuals, has made several statements and issued several press releases in support of evolution. The prestigious United States National Academy of Sciences, which provides science advice to the nation, has published several books supporting evolution and criticising creationism and intelligent design. In the United States the teaching of Creationism in public schools is banned. The Supreme Court has ruled the teaching of creationism as science in public schools to be unconstitutional. A lower Court has banned the teaching of Intelligent Design. "the war on the theory of evolution and on its proponents most often originates in forms of religious extremism." "to firmly oppose the teaching of creationism as a scientific discipline on an equal footing with the theory of evolution and in general resist presentation of creationist ideas in any discipline other than religion". In Brazil, teaching of creationism in scientific education classes is banned by Ministerio da Educação e Cultura - MEC - (Ministry of Education and Culture). In China, in the 6th year of primary school, there is a course named Natural Science that combines chemistry, physics and biology. Biology class is taught throughout junior high school. The theory of evolution is first introduced in class in the last year of junior high school. It is taught again in the second year of senior high school, the only year biology class is taught. text highlights transitional forms; the image of an Archaeopteryx fossil is captioned: “This is the first bird on Earth, which also has some reptile traits” (Amani et al. 2008).For secondary students who go on to the highest levels of biology in preparation for university, the pish-daneshgahi (12th-grade equivalent) biology textbook elaborates on these previous discussions within several chapters on evolution and population genetics (Karamal-Dinietal.2008). Alongside the science of and evidence for evolution, the text paints a sympathetic picture of Darwin, mentioning his reluctance to publish his ideas within the Victorian English social milieu, especially given the church’s censure of Vestiges of the Natural History of Creation and Lamarck. Perhaps more importantly, the text includes a diagram presenting Darwin’s influences and the eventual construction of the new synthesis of evolutionary theory, with abundant reference to Western scientists and their research programs. Evolution is set as part of the National Curriculum for all schools by the Central National Level School Board. Although it has been claimed that evolution is not taught in Pakistani universities; the Higher Education Commission which is the Federal body which sets standards of course content has knowledge and understanding of evolution as being compulsory for several courses such as microbiology, bioinformatics, zoology, botany as well as others. In 2006, the Pakistan Academy of Sciences became a signatory of the Inter Academy Panel Statement on "The teaching of evolution". In December 2006, a schoolgirl in St. Petersburg, Russia and her father decided to take the teaching of evolution in Russian schools to court. The position of the Russian Ministry of Education supports the theory of evolution. The suit has been backed by representatives of Russian Orthodox Church. In February, 2007, the first instance court, and in July, the second instance court have ruled in favour of the ministry. In Turkey evolution was added to the school curriculum shortly after the Turkish Revolution of the 1920s and 30s. The teaching of evolution is compulsory in publicly funded schools. The Peterborough Christadlphians are so ignorant of science that they don't realise that the ideas of Newton and Einstein have been universally REJECTED, while the ideas of Darwin have been universally ACCEPTED by science. Newton's ideas were disproved by Einstein and Einstein's ideas were shown to be faulty by Quantum Physics. General Relativity does not work on the very small scale and science hopes that String Theory will supersede Einstein's ideas. What is required is a Quantum Theory of Gravity; which is unknown at the present time. But the ideas of Darwin have been proved by mountains of evidence during the past 165 years and Evolution is the basis for all modern Biology. Evolution is still being refined as a theory; but the basic ideas and the fact that Evolution did happen are beyond question in global science.